We're over halfway through the year now and pretty much on the verge of finally getting Frozen Skies released. So really this week its a case of a quick round up of how things currently stand. Also a quick PSA; There will be no posts on the 2nd and 9th of August since I'll be taking a much needed break. All thats really left is the last bit of editing and some weapons/gear artwork. The map is done and things are looking good for a mid-August release, just before GenCon. There will be an announcement of its via the Savage Worlds Licencee seminar, but actually going to GenCon is currently prohibitively expensive for me (maybe next year if I get a windfall). 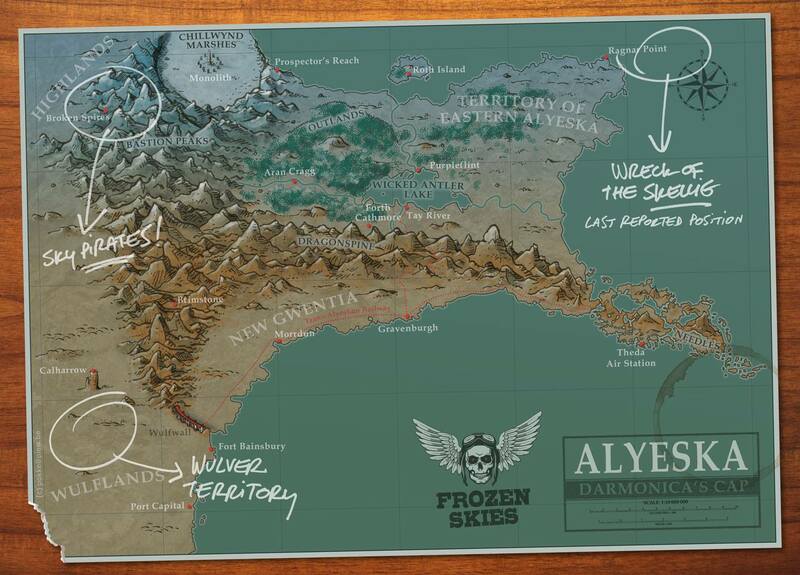 The map artist has already showcased the map, but I'm including it here for completeness. 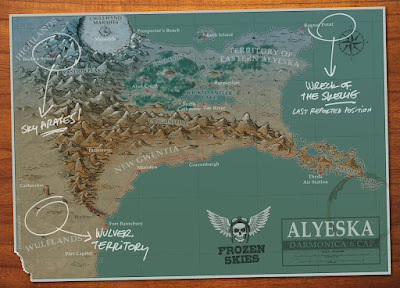 Frozen Skies will be initially released as PDF, hopefully quickly followed by Print-On-Demand, through RPGNow and DriveThruRPG. I'll also be looking at distribution to get it into game stores, but we'll see how that goes.